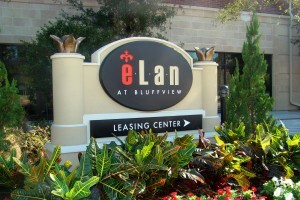 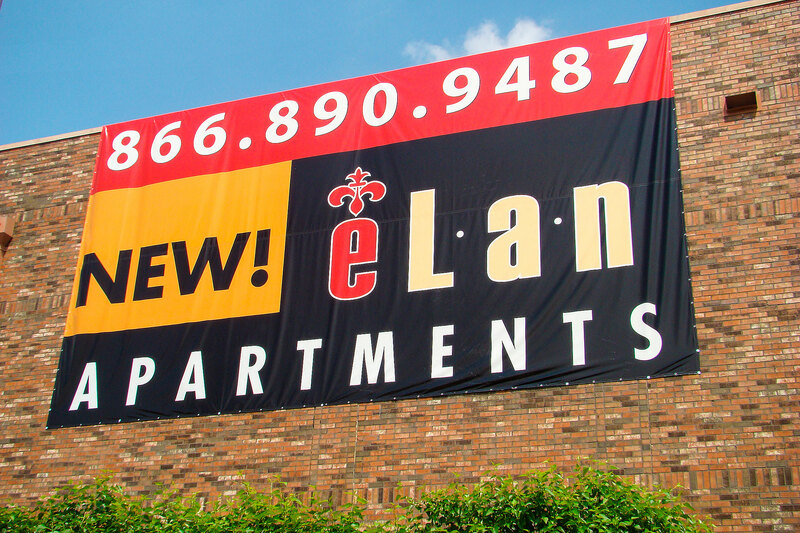 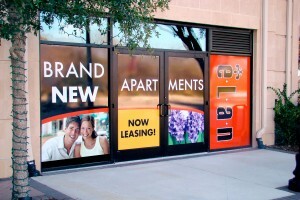 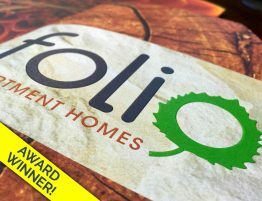 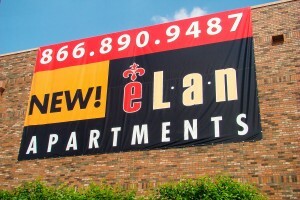 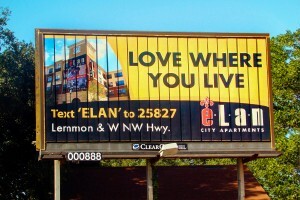 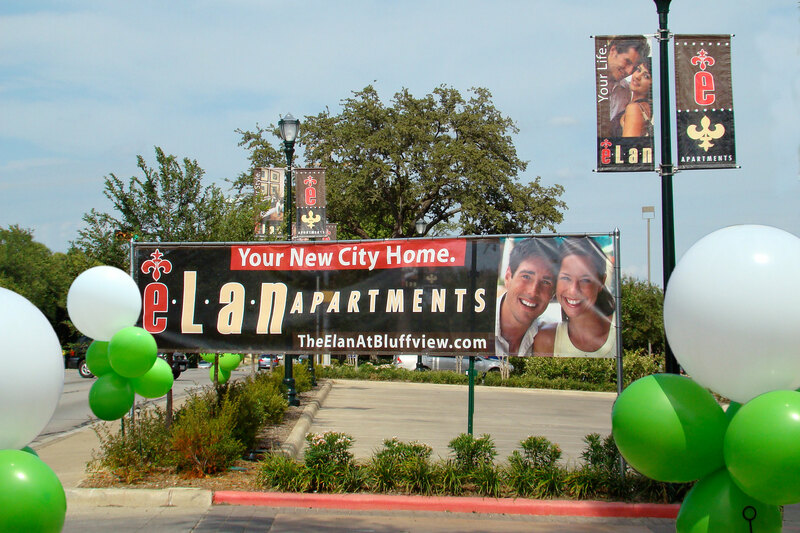 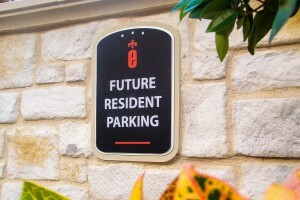 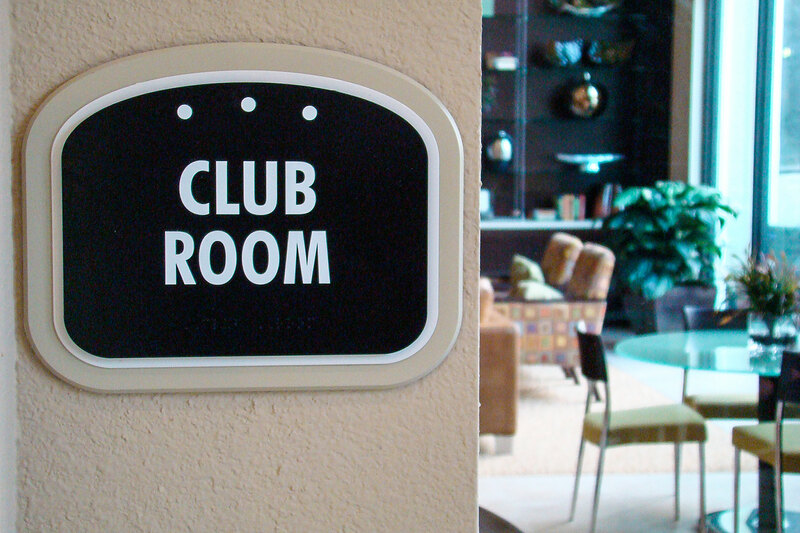 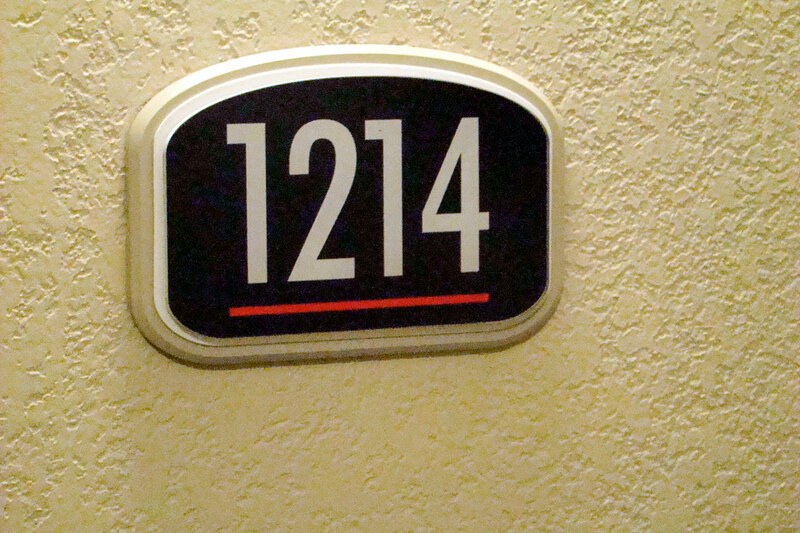 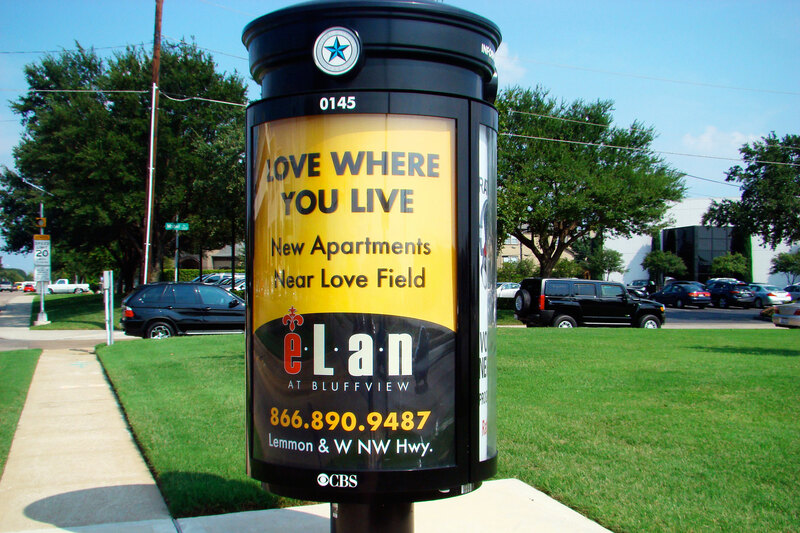 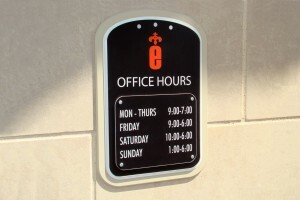 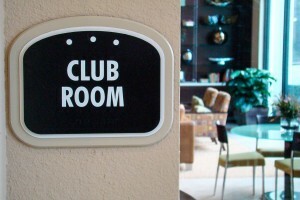 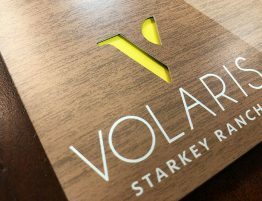 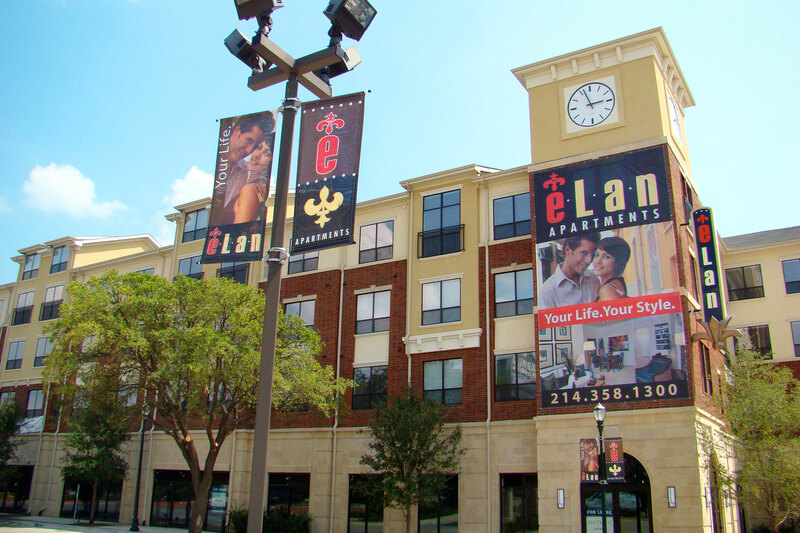 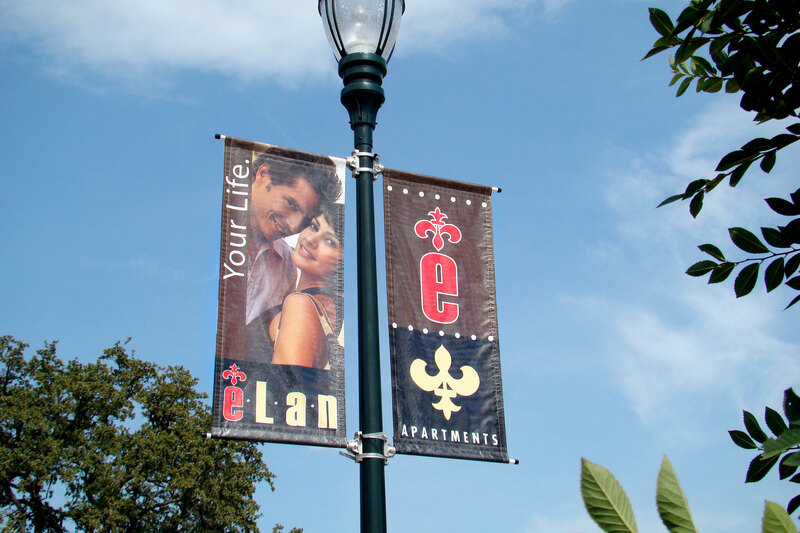 Élan Apartment Marketing Signage | Robinson Creative Inc.
Commuting Executives Find The Perfect Residence. 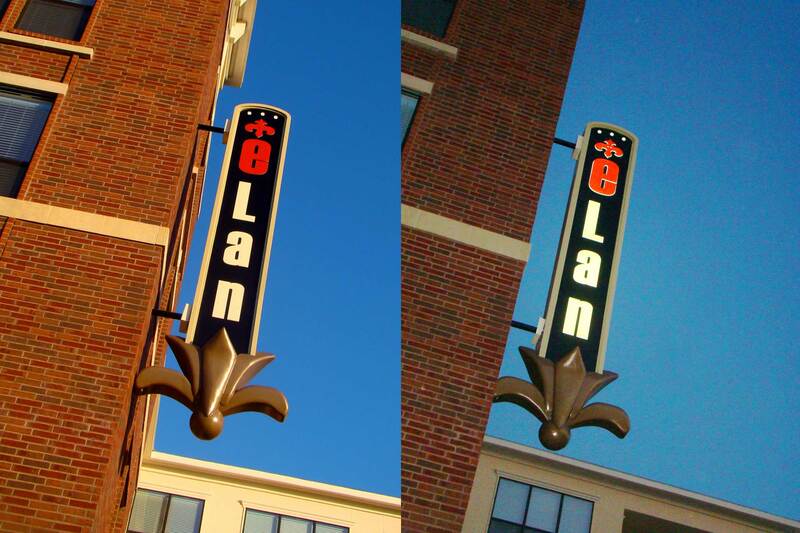 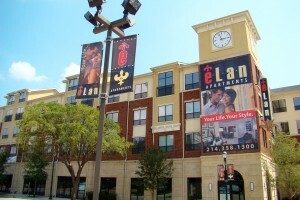 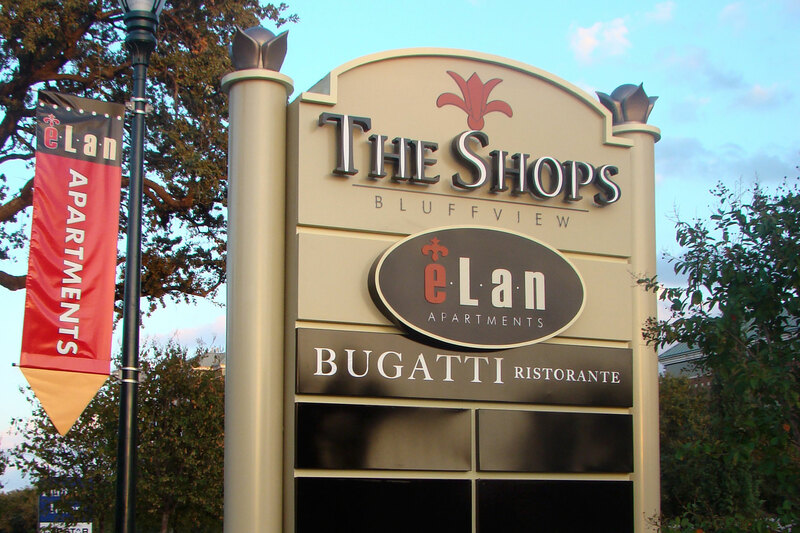 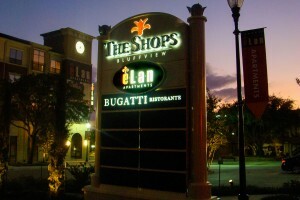 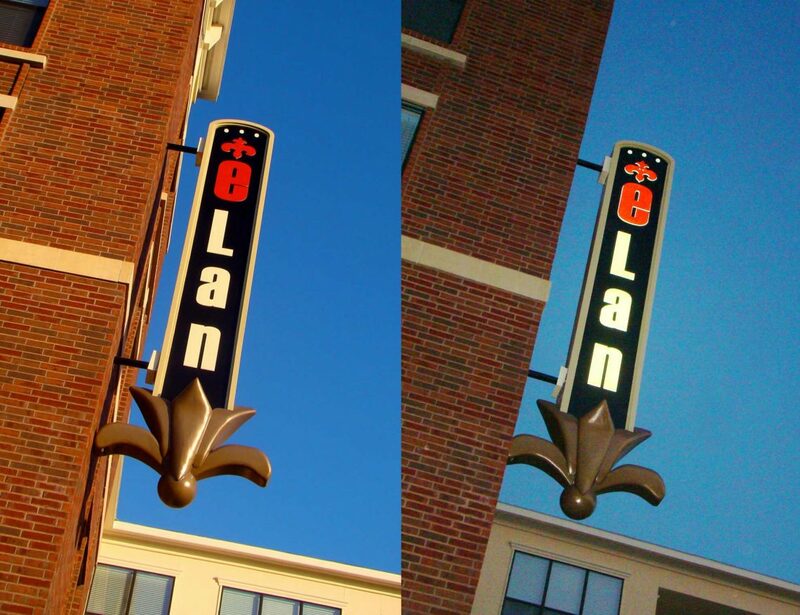 The developers recaptured an older retail development and transformed it into a new urban living destination called Élan. 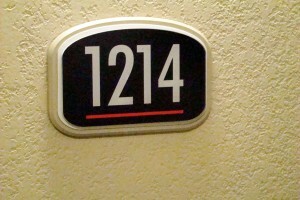 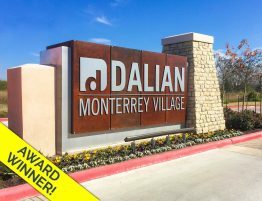 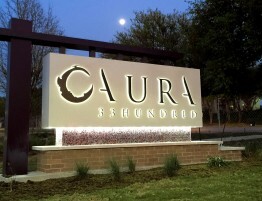 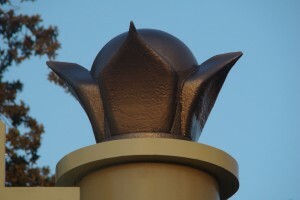 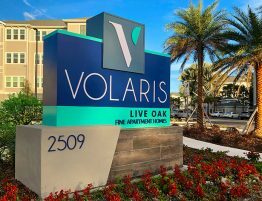 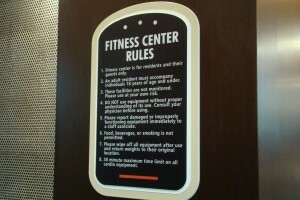 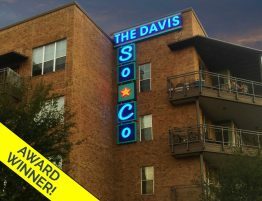 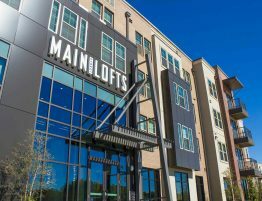 Located in a transitioning neighborhood close to Love Field in Dallas, this exciting development faced many challenges. 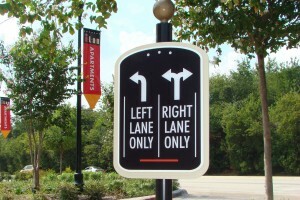 Robinson assisted by first negotiating with the city on strict signage restrictions, but in order for the new community to be noticed, it desperately needs appropriate curb appeal. 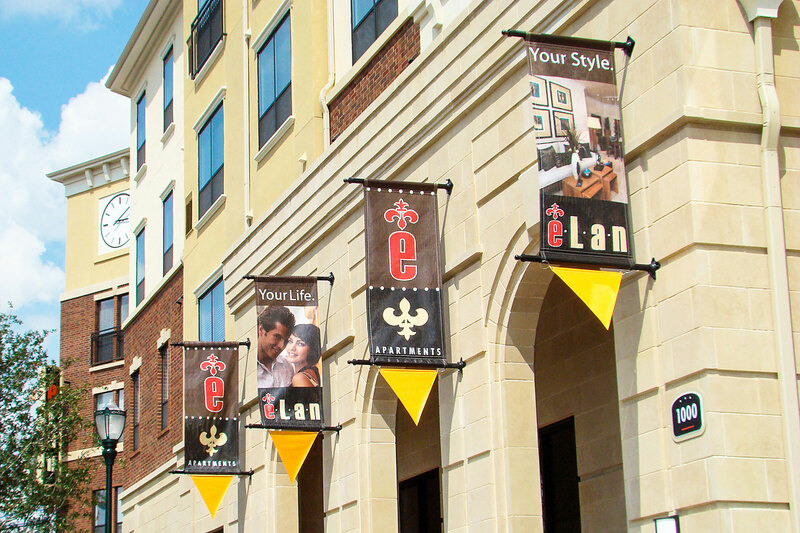 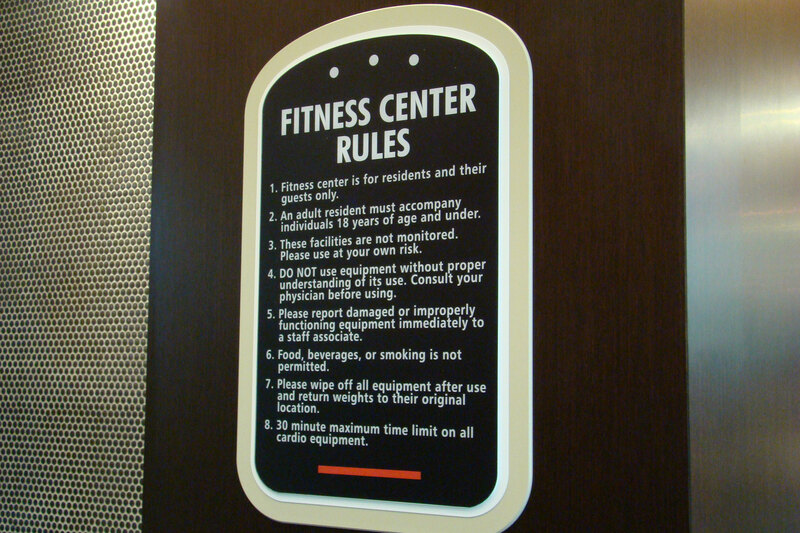 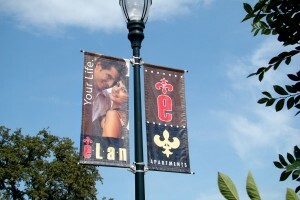 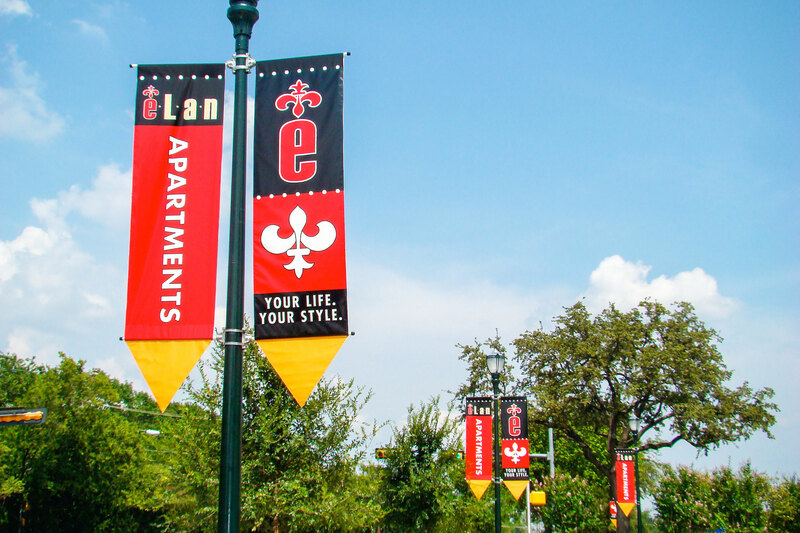 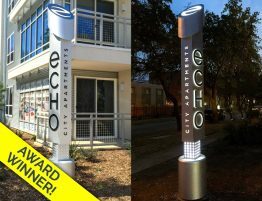 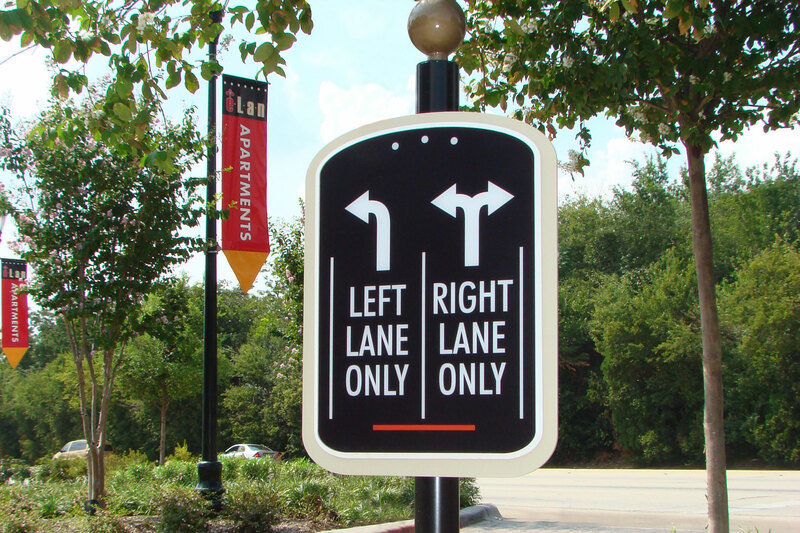 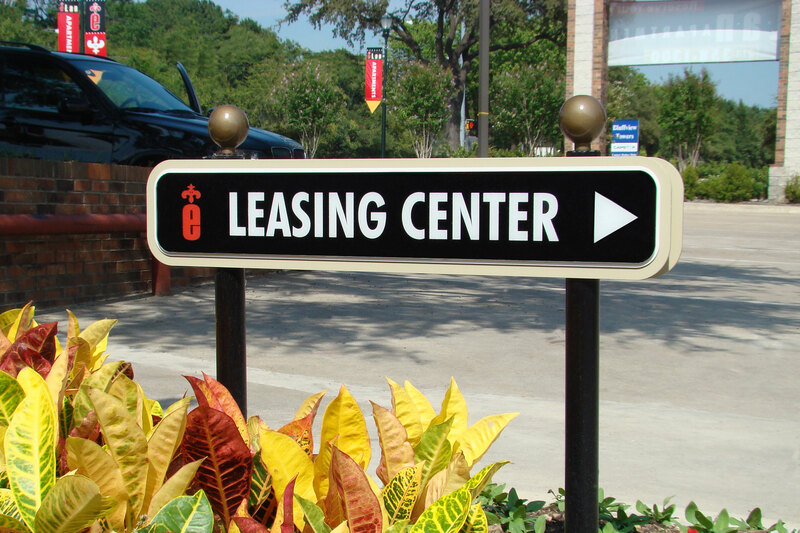 RC achieves amazing results with stylized museum street banners with color and movement. 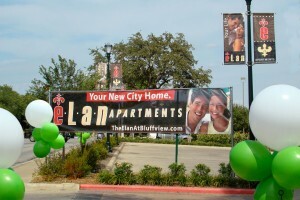 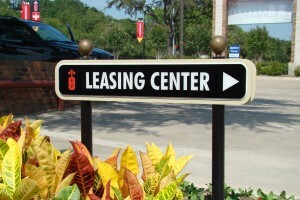 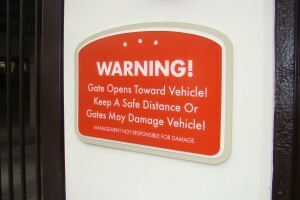 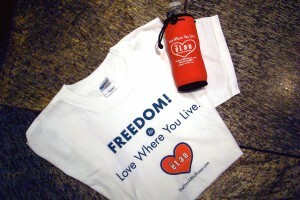 The innovative Balloons On A Stick product is used to create excitement with balloons and temporary banners. Attractive graphic building wraps added a signature message while new empty retail windows provides the canvas for adhesive graphics with future retail images.